Taiwanese steel maker Formosa officially admitted responsibility for Vietnam’s biggest ever environmental disaster, causing mass fish deaths in several Vietnamese coastal provinces in early April. The Hung Nghiep Formosa Ha Tinh Steel Company Ltd last month publicly apologized the Vietnamese Government and people for causing such a severe environmental incident in the four central coastal provinces of Ha Tinh, Quang Binh, Quang Tri and Thua Thien Hue. It pledged to pay damages totaling VND 11.5 trillion (USD 500 million) to support affected fishing communities and rehabilitate the marine environment in these provinces. The firm, a USD 10 billion investment of Taiwanese Formosa Corporation, also committed to fully addressing the shortcomings of its waste treatment system and improving its manufacturing technology as demanded by Vietnamese authorities and Ha Tinh province, and to collaborating with the latter to work out comprehensive solutions to control the marine environment in the central region and prevent similar incidents. 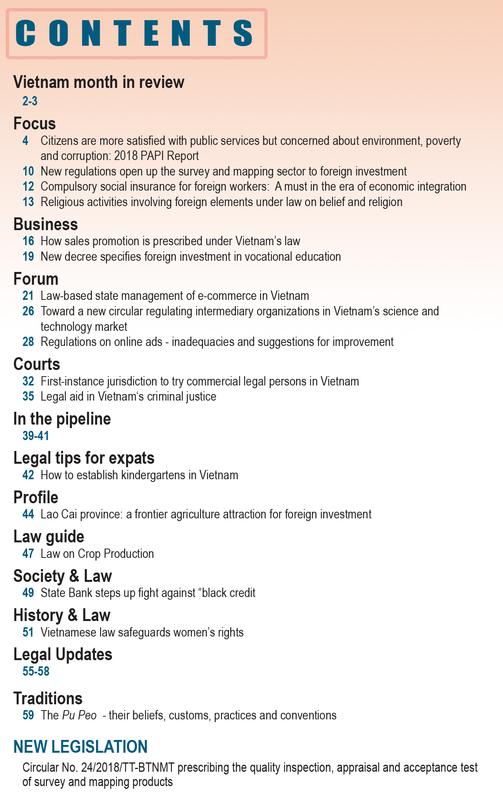 It undertook to truthfully fulfill the above pledges and avoid repeating violations of Vietnam’s law on protection of the environment and water resources. The company also sought generosity and forgiveness from the Vietnamese people and understanding of the State of Vietnam, promising to make active contributions to sustainable socio-economic development and environmental protection of Vietnam in general and the four central provinces in particular. Formosa made its apology and commitment to pay damages after the Government’s two-month investigation concluded that the construction and test operation of its steel complex in Ha Tinh province’s Vung Ang economic zone was the cause of the serious contamination of the marine environment which led to unusual massive deaths of fish and sea creatures in April in the four provinces. 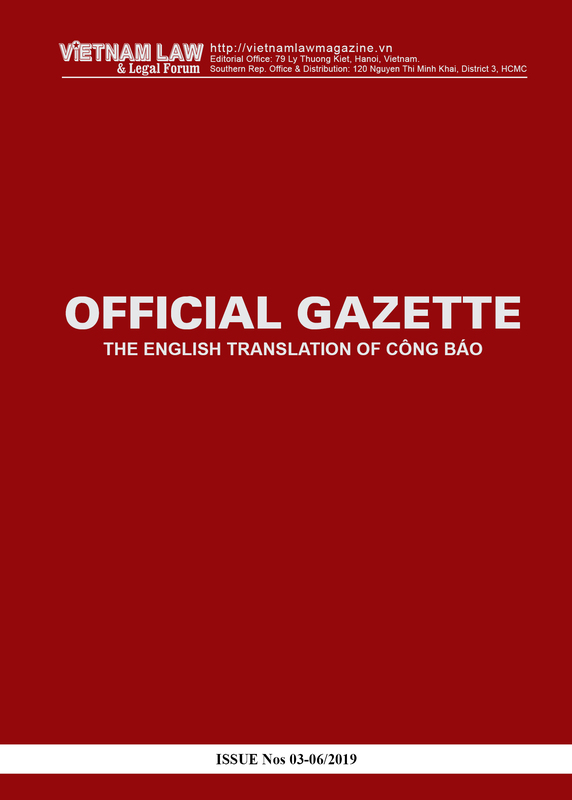 The investigation, led by the Ministry of Science and Technology and involving more than 100 national and foreign specialists, found that a huge waste source from Vung Ang economic zone, which contained phenol, cyanide and ferrous hydroxide and flew down the sea current from north to south, was the cause of mass fish kill, particularly at the bottom layer. Further inspections found that the test run of Formosa’s steel complex had caused the discharge of wastewater containing phenol, cyanide and ferrous hydroxide beyond the allowable limits. With scientific and objective evidences given in a series of meetings with concerned authorities, including the Ministry of Natural Resources and Environment and the Vietnam Academy of Science and Technology, and Ha Tinh province, the firm finally had to admit to causing the serious environmental incident in the central region. Addressing the cabinet meeting in June, Minister of Information and Communications Truong Minh Tuan stressed the disclosure of the cause and perpetrator to the fish kill was timely. He said the investigation result was objective and evidence-based. He explained the revelation of the perpetrator of this serious environmental incident required careful investigations involving law enforcement agencies, specialized management authorities, scientists and local governments. Minister Tuan said whether or not Formosa would face a charge for causing the incident would be considered in accordance with law. Given the serious incident caused by Formosa, the Prime Minister asked the Minister of Natural Resources and Environment and provincial People’s Committee chairpersons to scrutinize all waste-discharging factories and inspect coastal industrial facilities to prevent the discharge of waste into the sea without supervision and closely watch the discharge of wastewater which affects the marine environment. 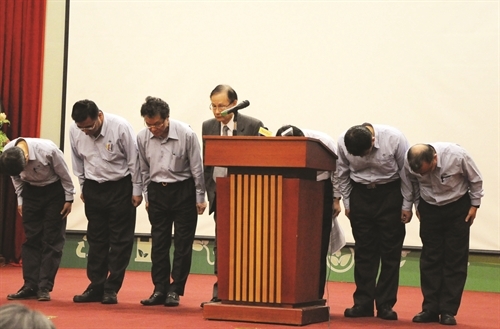 The Prime Minister also ordered related ministries, sectors and localities to promptly pay compensations and assist people in changing jobs, ensuring publicity, transparency and practicality and oversight by the people, the Vietnam Fatherland Front and its member organizations, and the mass media. He also asked for strict supervision of Formosa’s fulfillment of its commitments. The Prime Minister requested the installation of a system to monitor the marine environment in the four provinces and disclosure of information on the environment quality. Addressing the cabinet meeting on July 1, Deputy Prime Minister Truong Hoa Binh stressed Formosa’s USD 500 million compensation must be used properly for the right beneficiaries on the basis of their actual damage. He suggested focusing on efforts to help fishermen’s seagoing, upgrading of the marine environment and installment of environmental monitoring facilities. The Government would announce a compensation and support plan later this month. The Deputy Prime Minister requested a thorough review of the process of appraising and licensing Formosa’s project to discover negative practices and violations for strict punishment. He asked examination of state institutions, standards and regulations to control the discharge of waste into the environment by businesses and draw experiences for proactive and prompt response to similar incidents. The Formosa incident has dispatched a warning to localities in inviting foreign investors, given their greater powers in investment licensing under the policy on decentralization of investment management. Not a few localities had offered excessive incentives for major foreign investment projects without taking into account adverse environmental impacts, analysts pointed out, citing many unclean projects rejected by a locality were welcomed by another, ignoring environmental criteria and disregarding possible consequences. 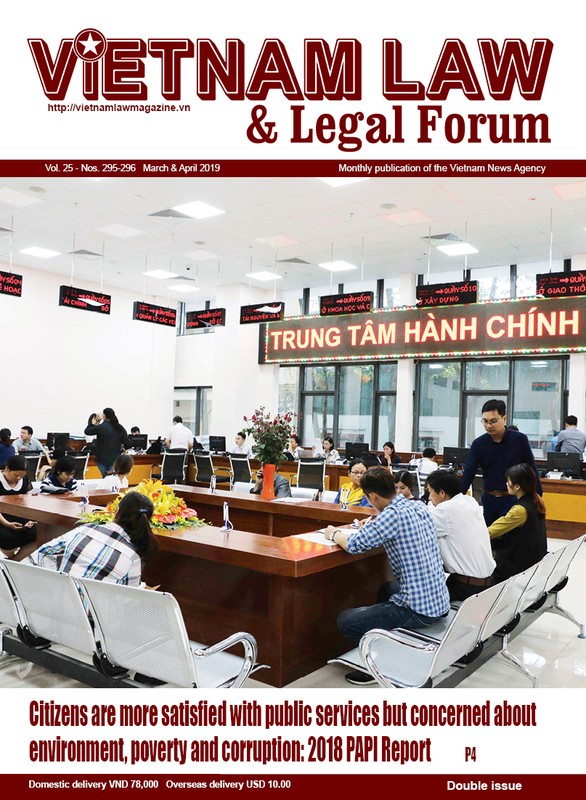 It was now the time to reconsider the policy on decentralization of the authority to license foreign investment toward heightening the management role and responsibility of ministries and sectors, given failures in the implementation of many large-sized projects licensed by local governments, Phan Huu Thang, former director of the Foreign Investment Agency, told the Thoi bao Ngan hang (Banking Times). Formosa’s steel complex, expected to be the largest one in Southeast Asia, includes a steel plant with an annual capacity of 22 million tons of steel, a deepwater seaport capable of receiving 300,000-ton ships, and a thermo-power plant with a capacity of 2,100 MW. The total investment of the project in the first phase is around USD 10 billion, to be added with some USD 6 billion in the second phase. The complex covers a total area of over 3,300 hectares, including seawater surface, with a total land use and water surface rent of over VND 96 billion (roughly USD 4.46 million) in 70 years. Land clearance for the project has resulted in the relocation of some 3,000 families in nine communes of Ky Anh district. 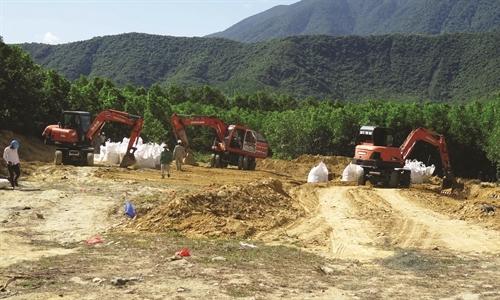 In the latest development, Formosa Ha Tinh was detected to bury 100 tons of stinky black waste at a farm in Ky Trinh ward, Ky Anh town, and dozens of tons of waste in a landfill in Thien Cam township, Cam Xuyen district. Minister of Natural Resources and Environment Tran Hong Ha told the local media that the Hung Nghiep Formosa Ha Tinh Steel Company would be strictly handled if investigation results show the company illegally buried waste in the environment.